FACT: Sun Life also offers mutual fund products. While its main market involves insurance products, it was months ago when I've learned about their Prosperity Funds (their name for mutual fund). In the interest of diversification, I tried to invest some of my money here. What's surprising is that my rate of return in Sun Life Prosperity Fund ranks top 1 among all my paper assets. Top 2 is BDO UITF (for detailed steps, click HERE). This personal investment ranking is as of 4th November 2013. One of the most important elements in growing your money (next to of course, your capital money) is TIME. That's the main reason why financial talks encourage you to start early and start young (more scoop HERE). The power of compounding is amazing, a reason why wise investment in financial instruments are also called a great wealth vehicle for commoners like us. Let me emphasize, that you need to be at least familiar on any investment you are delving into, after all, earning money involves a lot of time and energy! HOW TO OPEN A SUN LIFE MUTUAL (PROSPERITY) FUND? 1. Ask your financial advisor. 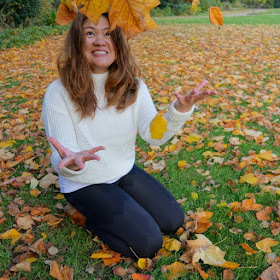 In my experience, my Sun Life financial advisor is super nice :) She answered all of my questions clearly and we ended up being friends that instant. Agnes made sure that I understand how it works and even gave me options on what works best for me. TIP: If you have a friend whose into Sun Life, I suggest that you ask them to refer you to his/her advisor. That way, you can have a brief preview on what to expect or what have yous. 2. Give your initial investment. You will be given a receipt after this. If I remember correctly, a snail mail will be sent separately containing your account number and other important details. TIP: The minimum initial investment is Php 5,000 ☺. After that you can top-up (add on your existing account). 3. Log online. I find it convenient knowing that you can track your fund performance online. 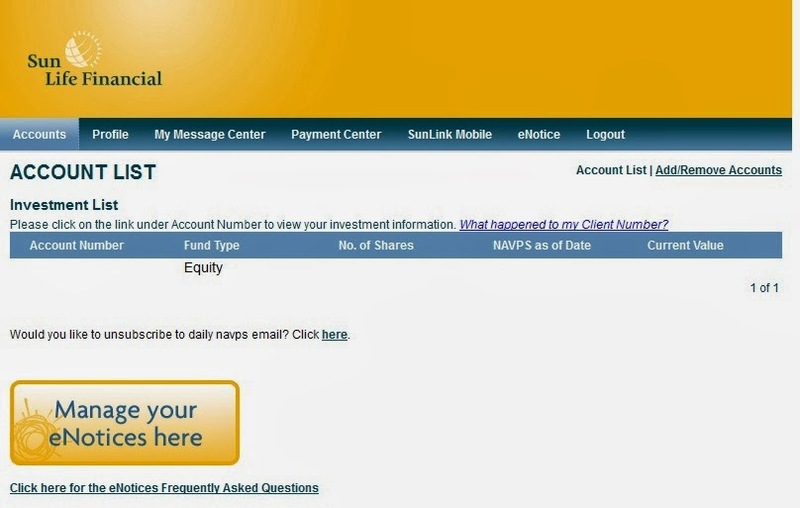 As with most of mutual fund products, Sun Life Prosperity Fund also has an online platform. Registering is procedural and easy. TIP: I suggest you enroll online. So you can see your fund's performance at a glance. Snap shot of the online portal after the jump! Hi whats the website where you can see your fund's performance? Thanks! Hi Kristine, thanks for sharing this. I'm on the hunt for MFs that i can access online! Can i redeem or subscribe in Sunlife funds online? Do you know of any other investments that allow online subscription or redemption like ALFM funds @ BPI? Thanks a lot! Hello - You can add funds via online banking Startup Mommy! :) They have BDO, BPI, Metrobank among others. Feel free to ask your advisor re: account details for each bank. Hi. how much interest sa MF ng Sunlife? I am planning to invest a minimum amount muna.Thanks! Therefore we can only describe prosperity in our spiritual life by the effects this produces in our life.